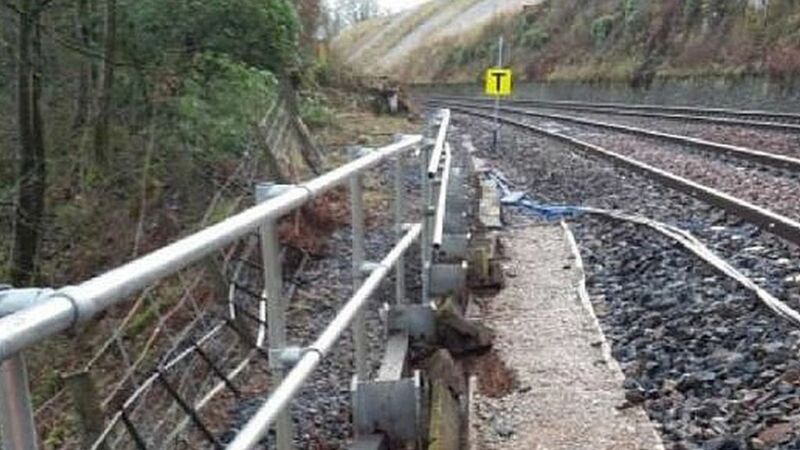 Plans to repair a damaged section of the Carlisle-to-Settle railway line have been agreed by engineers. A 500,000-tonne landslide at Eden Brows forced the line's closure between Appleby and Carlisle early last month. Network Rail has revealed plans to build a structure underneath the track at Armathwaite to support it. The project, expected to take many months, will also involve major earthworks to stabilise the embankment. There is no exact timetable, due to the scale of the slip, the fact the earth is still moving and the remoteness of its location. Friends of the Settle Carlisle Line said it remained 'open for business', with trains running between Leeds and Appleby and a bus replacement service to Carlisle. Plans to repair a section of the Carlisle-to-Settle railway line damaged in a 500,000 tonne landslide are agreed by engineers.